The distance from the Sun to Jupiter is approximately 779 million km, or 484 million miles. The exact number is 778,547,200 km. This number is an average because Jupiter and the rest of the Solar System follows an elliptical orbit around the Sun. Sometimes it’s closer than 779 million km, and other times it’s more distant. When Jupiter is at its closest point in its orbit, astronomers call this perihelion; for Jupiter, this is 741 million km. At its most distant point, called aphelion, Jupiter gets out to 817 million km. Astronomers use the term “astronomical unit” as another method for measuring distances in the Solar System. An astronomical unit, or AU, is the average distance from the Sun to the Earth – 150 million km. Jupiter’s average distance from the Sun is 5.2 AU. Its closest point is 4.95 AU, and its most distant point is 5.46 AU. We have written many articles about Jupiter for Universe Today. 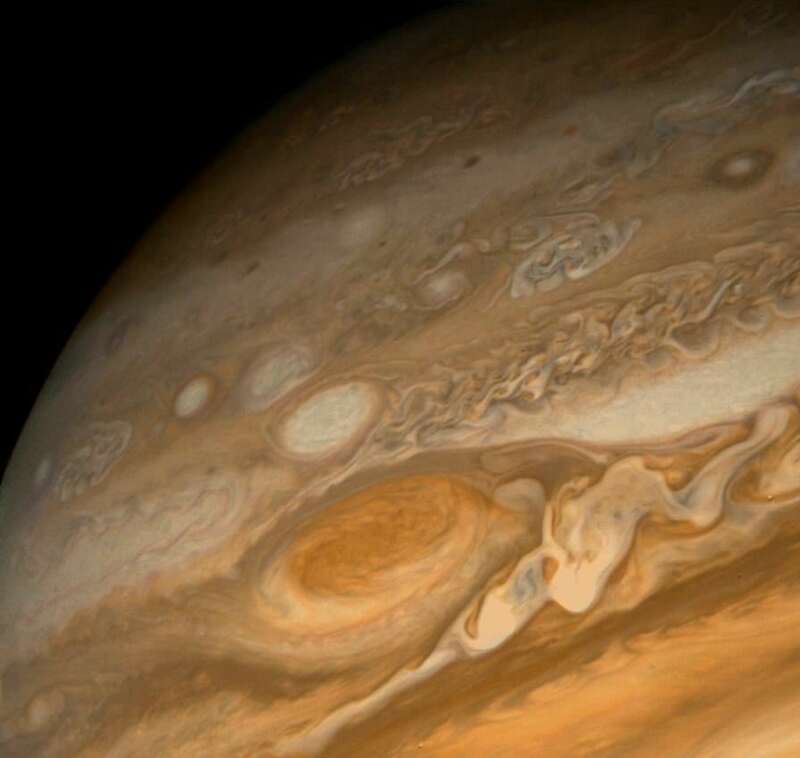 Here’s an article about how Jupiter might be able to wreck the Solar System, and here’s an article about Jupiter’s Great Red Spot. We’ve also recorded an entire episode of Astronomy Cast just about Jupiter. Listen here, Episode 56: Jupiter.